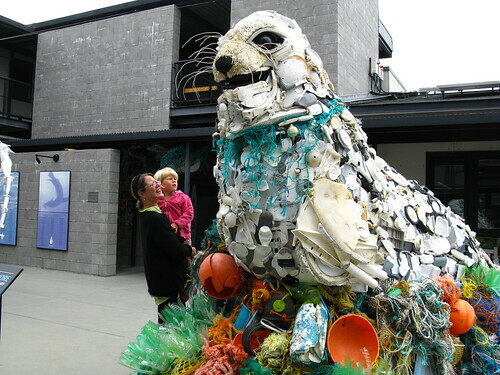 My friend Trina and I checked out the Washed Ashore exhibit at the Marine Mammal Center today. 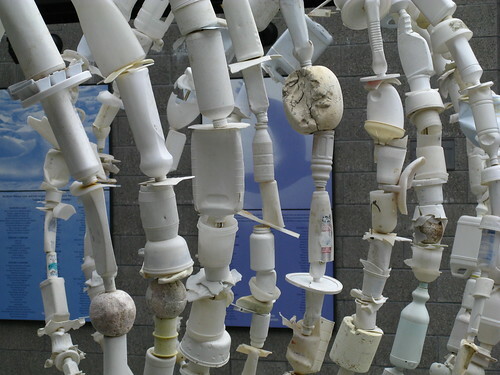 The Washed Ashore community project aims to educate and create awareness about marine debris and plastic pollution through art. 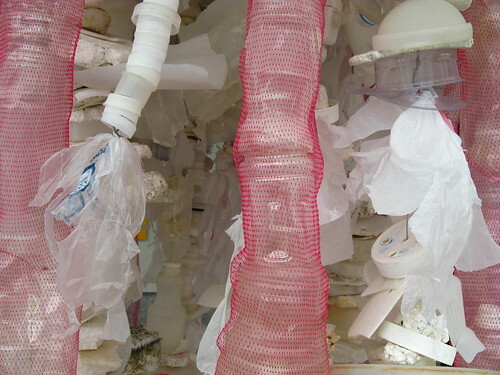 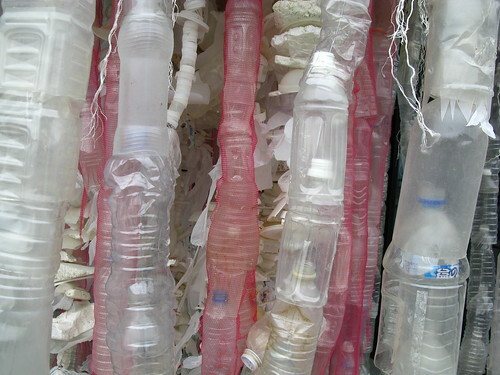 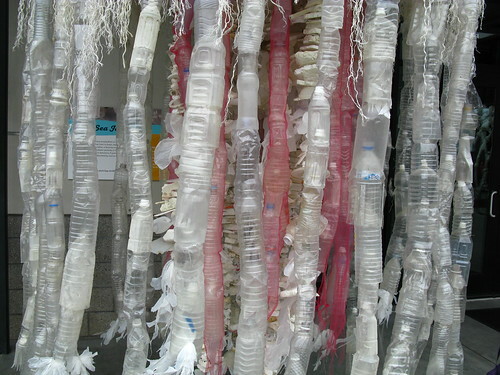 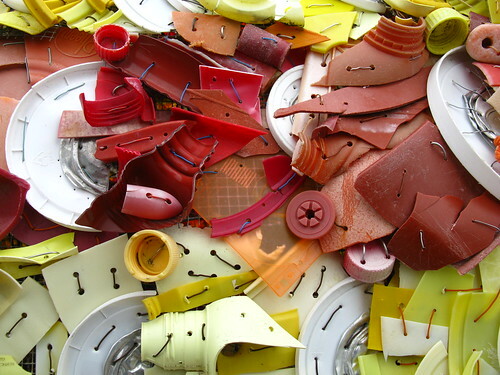 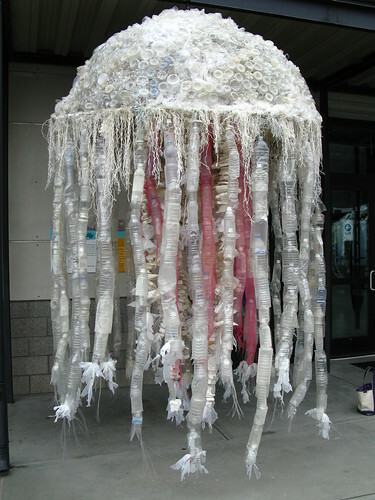 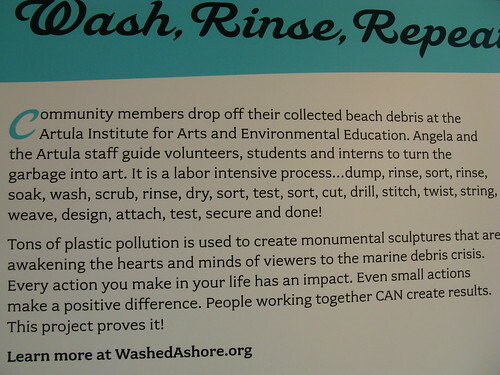 Washed Ashore is sponsored by Artula Institute for Arts & Environmental Education whose mission is to provide opportunities to express and teach environmental issues through the arts. 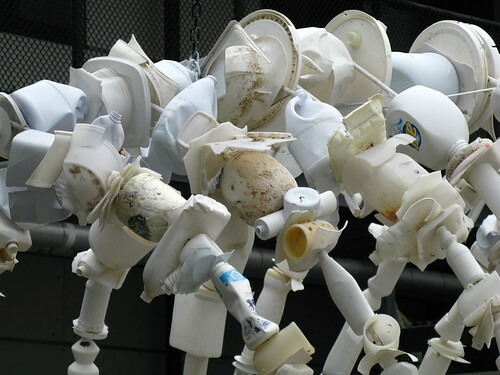 Community members are working together to clean-up our beaches and process the debris into art supplies to construct giant sculptures of the marine creatures most affected by plastic pollution. 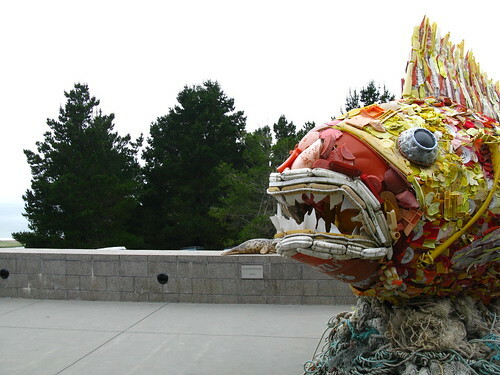 This has resulted in thousands of pounds of debris cleaned up from Oregon beaches and an educational touring art exhibit to showcase the sculptures. 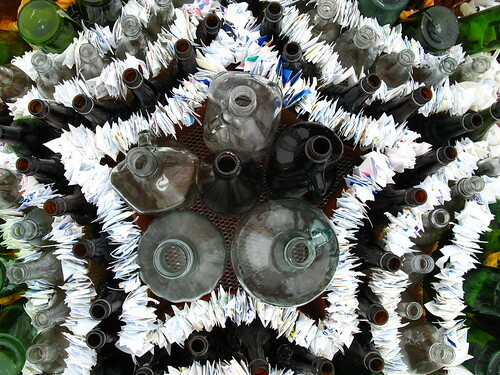 Meanwhile, we're dreading the arrival of Japan's tsunami garbage in a few years. 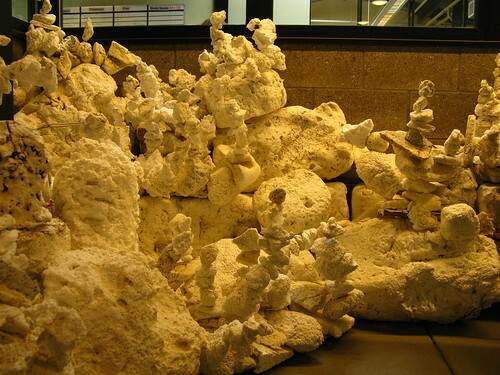 The relatively simple bleached coral reef made from styrofoam looked very real. 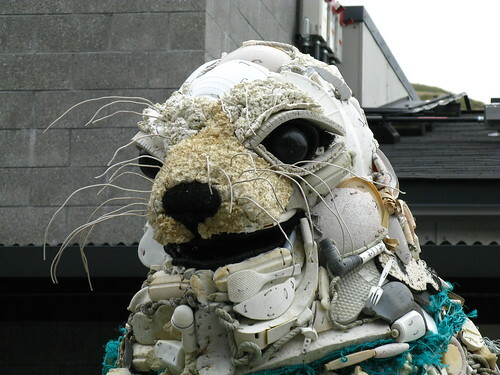 Marine mammals are not infrequently found with gross injuries, even gunshots. 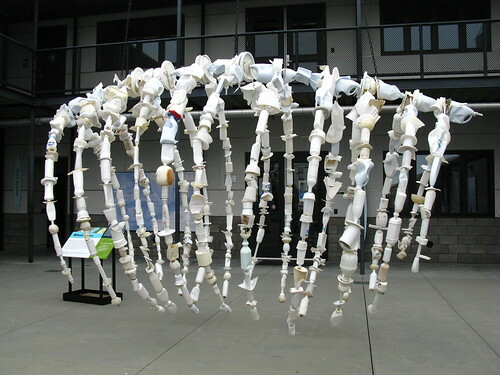 When the COSCO Busan tanker crashed into the Bay Bridge in 2007 and hemorrhaged fuel into the Bay, oiled birds and animals found around the Bay Area were brought here for rehabilitation. 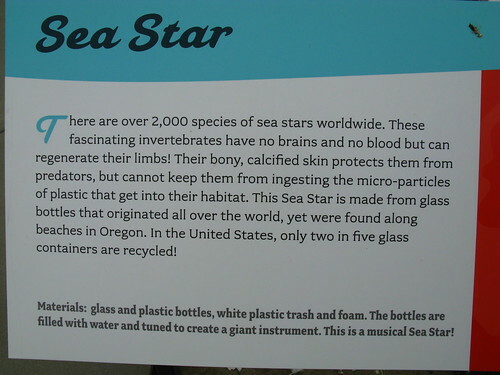 When you come, you can see some of the animals currently under care from an observation deck. 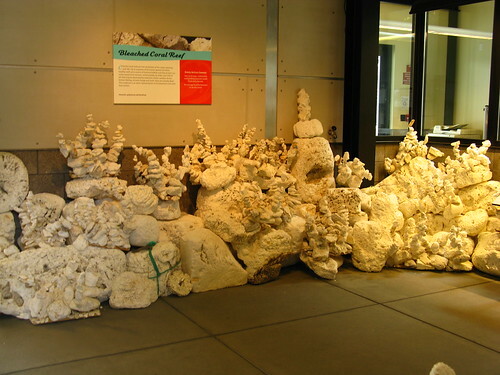 This is all located just a few minutes north of Point Bonita Lighthouse, by the way. 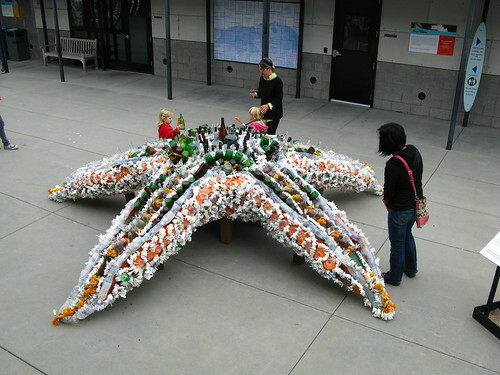 Well now that is certainly more inventive than the display I have had in mind for the road trash collected off the scenic byway.